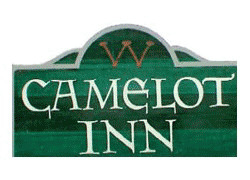 The Camelot Inn is within minutes of all of the area’s recreation and entertainment offerings—winery tours, golf courses, casino gaming, skiing, boating, hunting, fishing, hiking, biking, farm markets, dining and concerts. We’re just 20 minutes from Traverse City, but worlds away from the hustle and bustle—an enclave of quiet relaxation in the middle of everything. Whether you need a simple bed to spend a night, a room for the family with sitting areas and kitchenettes, or a Master Suite with fireplace and whirlpool, we have it all. Each of our 12 rooms is unique, with touches of home and modern conveniences. All rooms have refrigerators and microwaves, direct dial phones with free local calls, premium digital cable TV and air conditioners.